Your Personal Realtors For Life. Our Vision Is To Help Everyone Find Their Happy Place Called Home. We Believe That Nobody Cares More About You & Your Real Estate Needs More Than We Do! We Are Realtors Who Build An Ongoing Relationship With Our Clients That Goes Beyond A One-Time Experience. Our Greatest Asset Is Our Client Relationships And The Respect And Trust That Is Given To Our Team. Our Goal Is To Exceed Your Expectations, Provide You With Memorable And Exceptional Service Throughout Our Relationship And Beyond The Purchase And/Or Sale Of Your Home. Hi My Name Is Cartier Lee Francis And I Am The CEO! 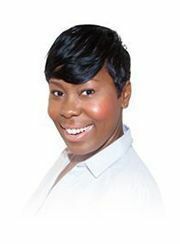 Hi My Name Is Jasmine Lee And I Am The Team Leader And Broker Of The Jasmine Lee Team. I Established The Jasmine Lee Team In 2004. We Pride Ourselves In Providing A First Class Concierge Service That Makes The Purchase And Or Sale Of Your Home And All Of The Associated Activities Hassle Free, Easy To Understand And Enjoyable! Our Goal Is To Exceed Your Expectations, Provide You With Memorable And Exceptional Service Throughout Our Relationship And Beyond The Purchase And Or Sale Of Your Home That Will Result In Advocates And Clients For Life. The Jasmine Lee Team Is Here To Build Careers Worth Having, A Business Worth Owning And Lives Worth Living. Hi My Name Is Tracy. 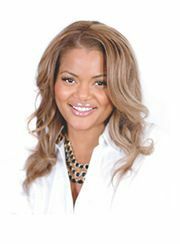 I Am The Director Of Operations On The Jasmine Lee Team. I Help And Support The Team To Ensure A Smooth Running Operation. I Believe That Nobody Cares More About You & Your Real Estate Needs More Than The Jasmine Lee Team Does! I Am A Client For Life. I Am A True Advocate. And This Motivates Me To Ensure A Solid System And Structure Is Established Around The Logisitics And Mechanics Of How The Jasmine Lee Team Works To Deliver On The Promise Made To Every Current And Future Client. Make That Decision To Make Us Your Personal Realtor For Life! Hi My Name Is Kenneth & I Am The Marketing Manager With The Jasmine Lee Team! I Co-ordinate & Manage All Marketing For Our Clients & Our Team! Along With Manage All Advertising & Exposure For Our Clients Properties I Also Create New And Innovative Marketing Strategies That Propel Our Company’s Exposure To The Forefront While Keeping In Line With Company Objectives. John Zinati and Gil Kay started this Firm right out of law school and have been independently taking care of their clients ever since. With degrees from Osgood Hall Law School they have built one of the most well known Law Firms the area, helping thousands and thousands of clients over a 20 year history. Panos offers a complete range of building and home inspection services. Are you buying a new home? Check! Acquiring a commercial property? No problem. Are you a new home owner and want to know more about maintenance? Panos can help. Installing a wood stove or furnace? He'll make sure your system is WETT certified. Concerned about radon gas? He can help you with that too!